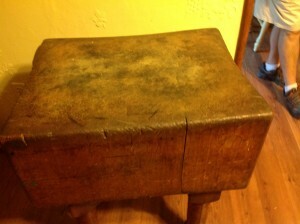 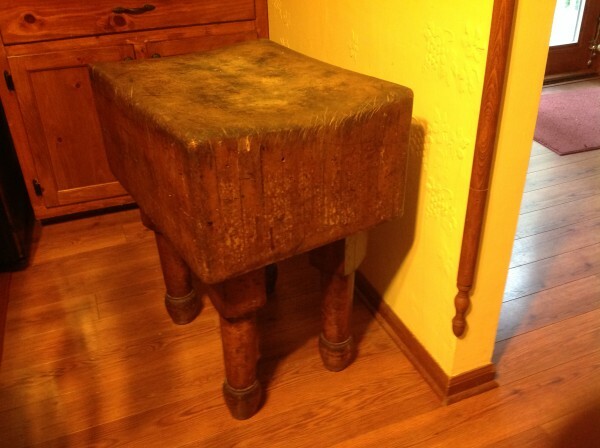 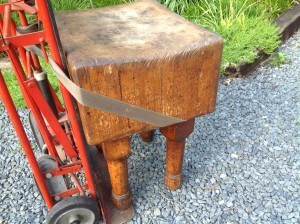 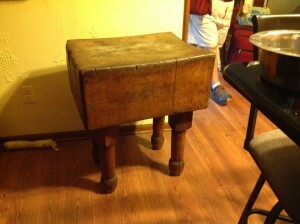 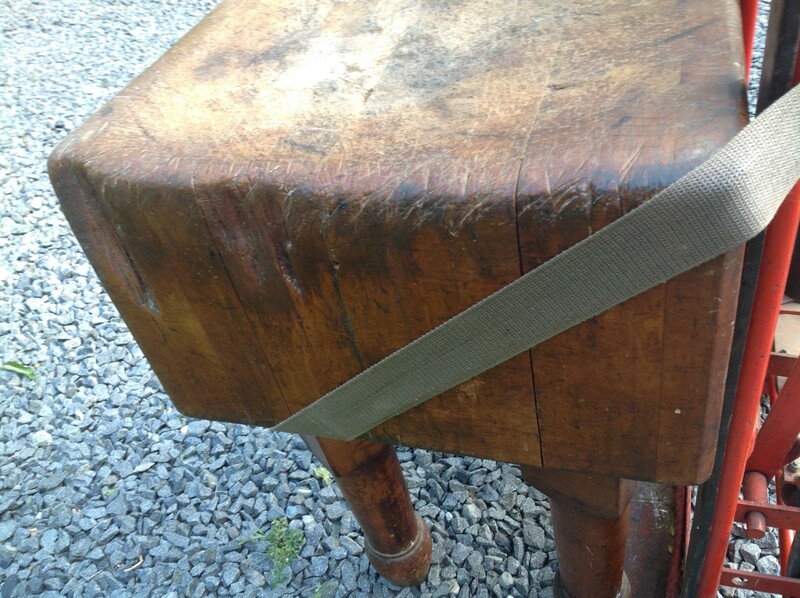 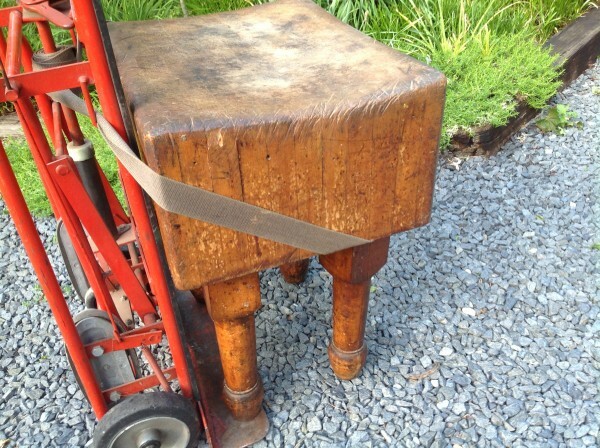 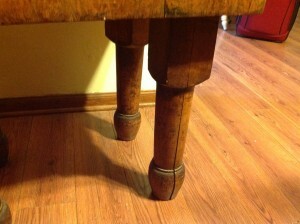 Cute little antique butcher shop butcher block in as found condition. 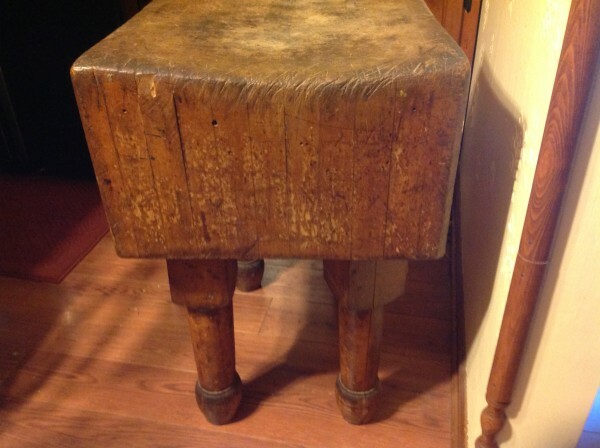 Last used when a butcher shop went out of business in Keyport, New Jersey. Will fit almost anywhere……………..